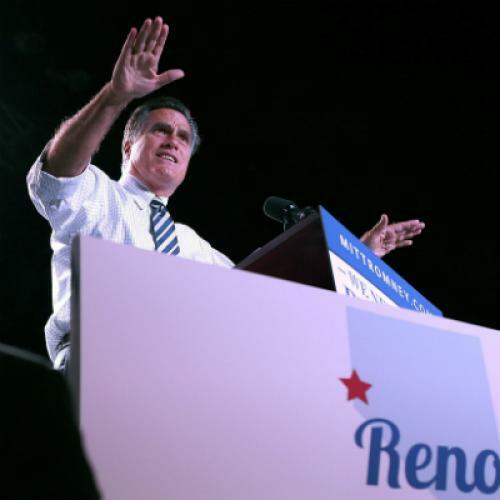 Despite one of the worst economies in the country and a large Mormon population, Nevada was always an uphill climb for Romney. Minorities constituted a larger share of the Nevada electorate than any other battleground state, enabling Obama to win the state by 12 points in 2008. Declining Democratic registration offered hope to Republicans in the summer, but Democrats trounced Republicans in the last two months of Nevada’s voter registration war. Today, Democrats hold a 90,000 vote registration advantage, just short of the 100,000 vote advantage they held four years ago. In Las Vegas’ Clark County, home to 70 percent of the state’s electorate, Democrats now outnumber Republicans by 128,000 votes—even more than in 2008. With such a large registration advantage, Romney’s hopes hinge on some combination of low Democratic turnout and a strong performance among independent voters or registered Democrats. But early voting statistics suggests that the “low turnout” option is probably off the table. Democrats have taken a 30,000 vote lead, suggesting they’ve already locked-in one-third of their statewide registration advantage. Although the early vote tallies are slightly better for the GOP than they were four years ago, Obama’s 12-point margin of victory gives Democrats considerable breathing room. The state's well-oiled Democratic Party machine is further reason to doubt the chances of weak Democratic turnout, perhaps especially since the state GOP has been in disarray since a Paulite takeover. The polls do not suggest that Romney will do well enough with Democrats or independent voters to make up for the Democratic registration advantage. Since October 15, seven surveys of Nevada show Obama ahead by nearly 4 points, 50.1 to 46.3. Every survey shows Obama in the lead and all but one (ARG) shows Obama at or above 50 percent of the vote, beyond the range for a late surge of undecided voters to sway the outcome. Just for good measure, polls have a history of underestimating Democratic strength in Nevada, perhaps due to difficulties surveying the state’s heavily Democratic voters in Las Vegas. Of all the battleground states, none has more consistently and clearly leaned toward either candidate than Nevada has leaned toward Obama. There hasn’t been a single poll to show Romney ahead in Nevada the entire year, and most surveys show Obama above 50 percent of the vote. With one-third of the state’s voters already in, it’s fair to wonder whether Romney retains a credible path to victory in the Silver State. The state economy is an asset to Romney, but every other indicator--demographics, history, voter registration, the early vote, party organization, and the polls--suggests that Nevada should leans comfortably toward Obama. Perhaps the only data point supporting a close race is the behavior of the campaigns themselves, but close and clear are not mutually exclusive.